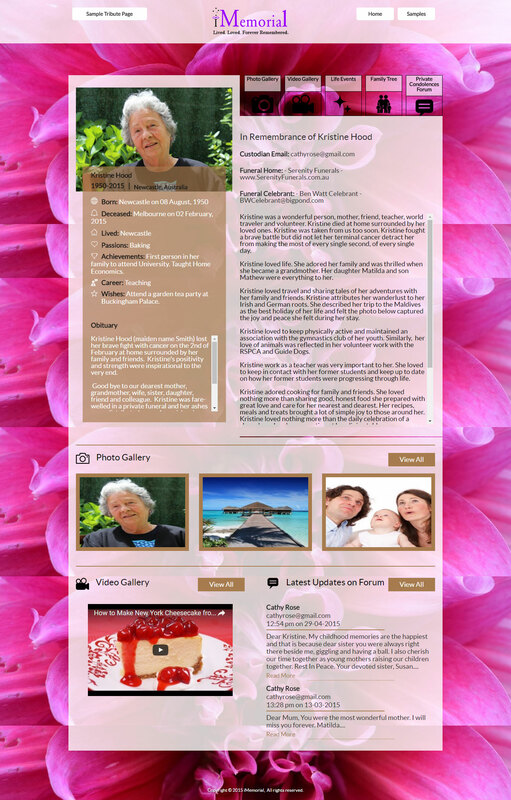 This project was different from being a corporate website, membership or any other website one can think of. 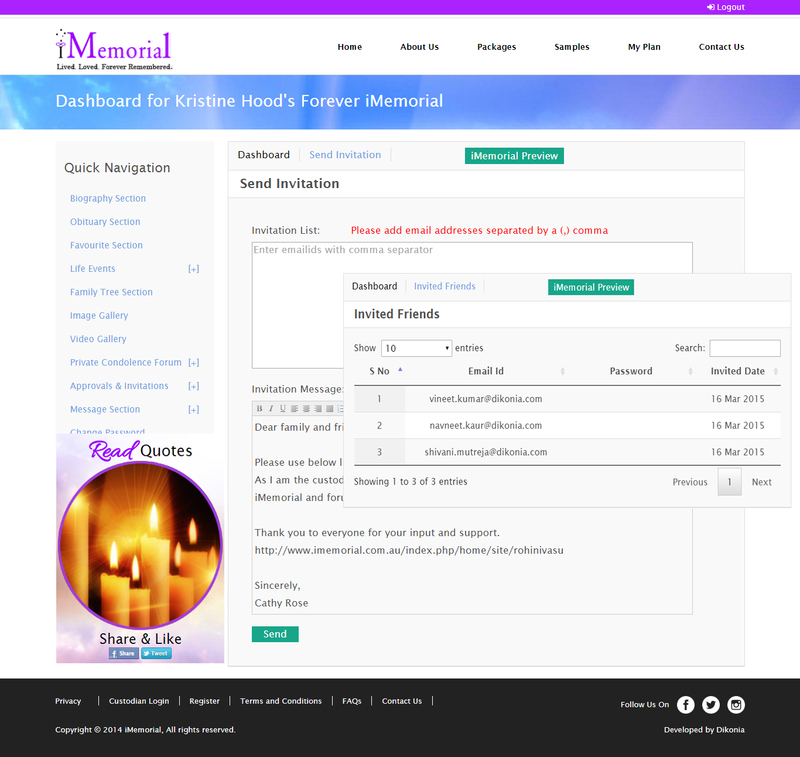 This project was going to be of emotional value to its users for its purpose of being able to give Tribute & remembering their loved ones. The website was custom designed and was made sure that a beautiful website is made and the emotions are felt as soon as the website is visited by the user. 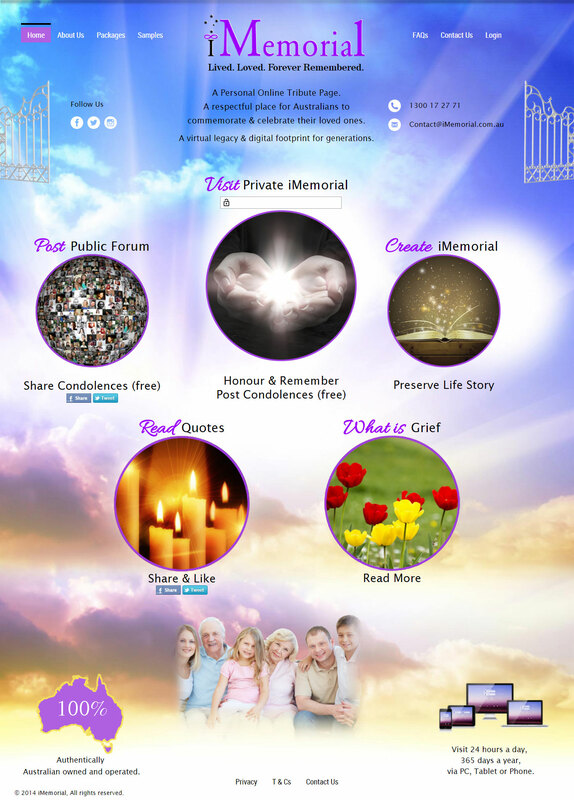 Social Aspect - Since, the main purpose behind the website was to remember loved ones, great emphasis was laid on the social aspect of the website. To make sure the word reaches out to large audience features like Sending Invites and sharing on largely used platforms like Facebook and Twitter were blended in the website. 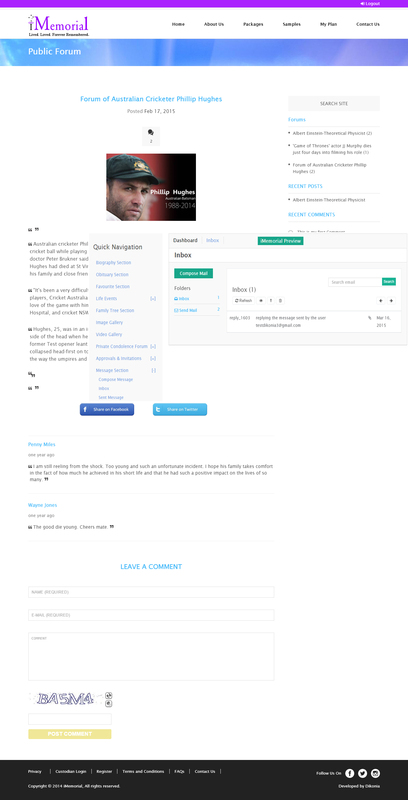 Forum, PM and Comments - Further adding to user’s emotional expressions, public forums and comments were added as part of functionality of the website. Any registered user on the website is allowed to create forum and other users of the website are able to post their comments on the forum. Registered users on the website can also avail advantage of the integrated Private Messaging module to convey their messages to other registered users. Reminders - Reminders were yet another feature added for the users to make them remember important events like anniversaries. Custom reminders are created by users of the website allowing them to reschedule, add audio, video & text to the reminder making it more personalized. 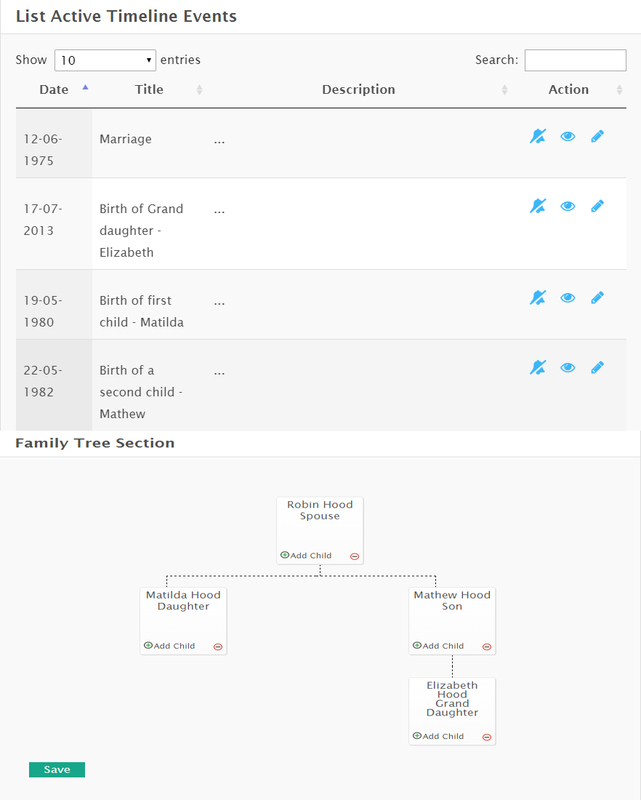 Family Tree & Timelines - Further to the features of the website, the users are given privilege to create their family tree in a hierarchical order to make them feel connected to their ancestors and family. Moreover, Timeline is used as a feature to keep the users updated of the activity in their forums and events on the website. 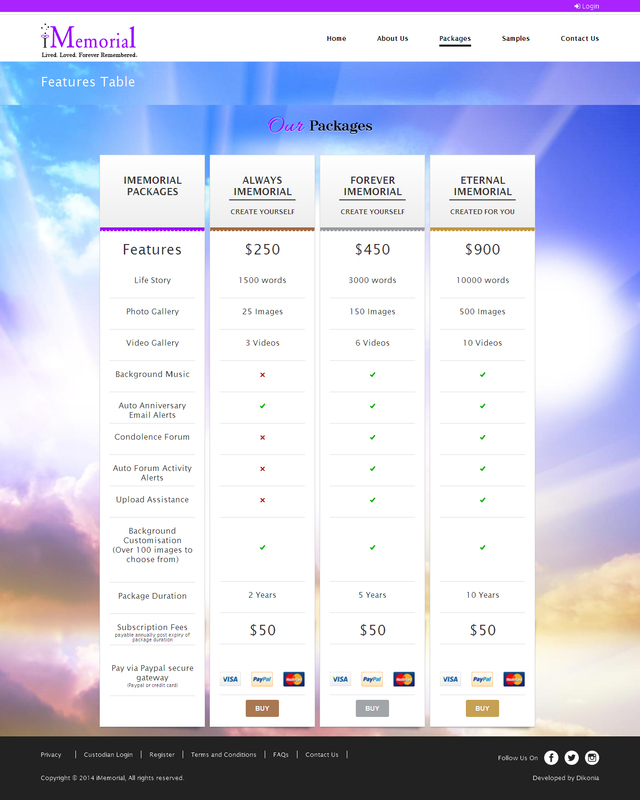 Service Packages - Users on the website can choose and pay for different packages to take advantage of the features of the website and create attractive memorials on the website. Each package offered has different services and valid time period.